This is another one of those vague questions that can be interpreted in a number of ways. 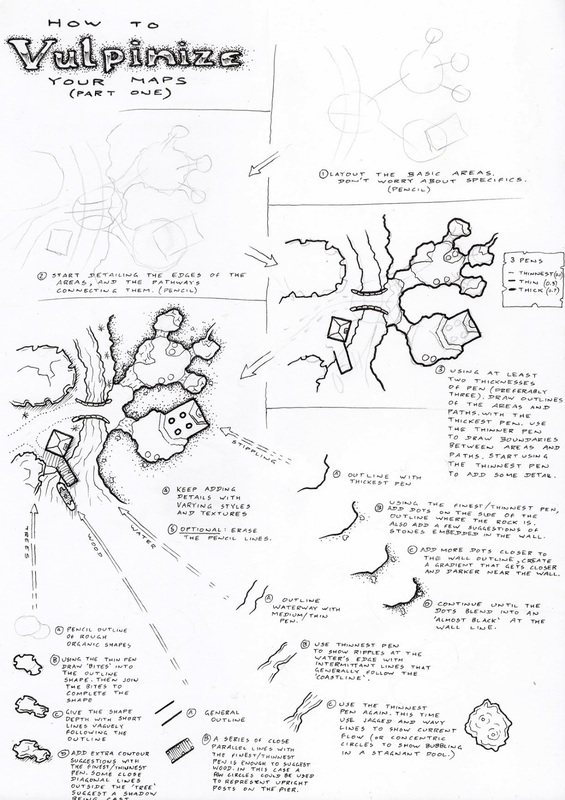 Does it refer to my favourite accessory that can be used in an RPG? 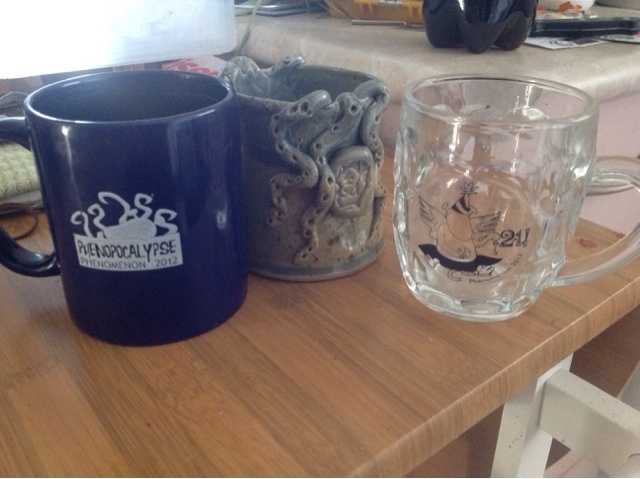 My favourite real life accessory that happens to be related to roleplaying? My favourite gaming item for use in games? I'm sure that when I read through other people's responses to day I'll see various interpretations, but I'm going to address them all. 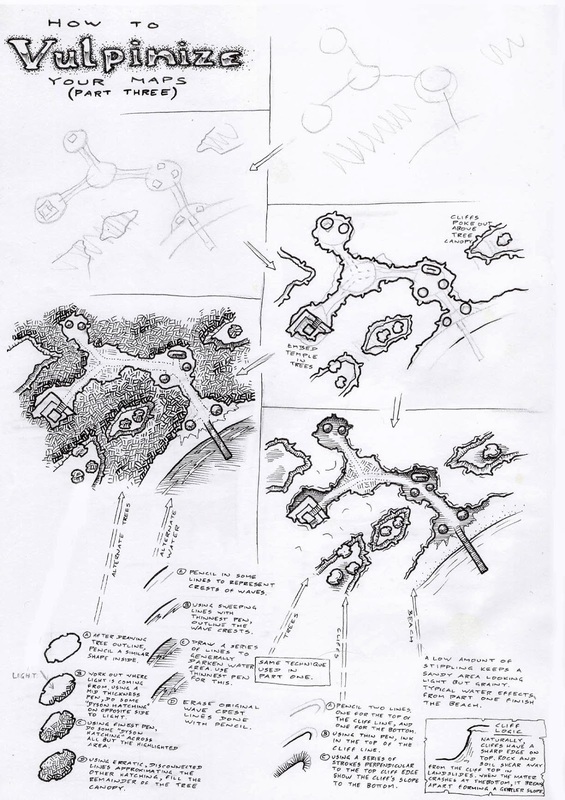 If you're a regular reader of the blog, you'll be aware that I'm currently playing in one of those old school campaigns where the GM thinks that he needs to be antagonistic and competitive against the players. He seems to aim for total party kills... and despite my character having a D&D (actually Pathfinder) Charisma of 20, "Charm Person" spells, and +15 in Diplomacy and Persuasion type skills, nobody seems to like her. Other players are similar hampered by arbitrary GM fiat, such as the spellcasters being told "Oh No, your spell doesn't actually do that thing in this situation", and the combat wombats being told "Your feat doesn't quote work that way". 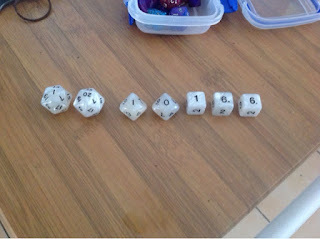 properly, then one of the d20s drops the 1 and adds an extra 20, one of the d10s drops the 1 and adds an extra 0, one d6 drops the 1 and adds an extra 6, and the last d6 drops the 6 and adds an extra 1. Only one of each is on the table at a time, with a cheat set used for rolling, and then palmed for the regular die when someone wants to inspect it. Normally, I'd feel guilty about using these, but in this gaming environment they simply feel like a part of the social set up. A portable white board is one of my favoured regular items in a game. 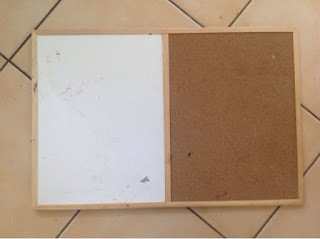 For this particular pin-board/white-board combo, one side can be used for drawing quick maps then erasing them when not needed, the other side can be used to pin notes about NPCs met, places visited, objects that are important, then string is used to connect those elements together in a relationship map. It can be easily erased, pulled apart when the campaign starts, or when information in the story is no longer relevant. Ahh... My Mage mug. 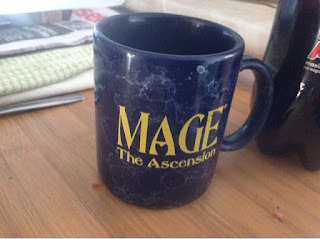 Marked with the game title on one side, and the symbol for Prime (raw magickal power) on the other side, coffee from this mug has fueled me in the morning countless times. 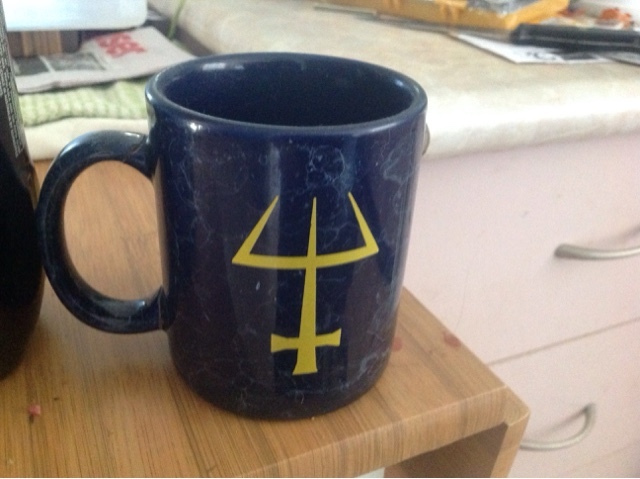 Sure, I have plenty of other coffee mugs, but this one probably gets more than its fair share of use. 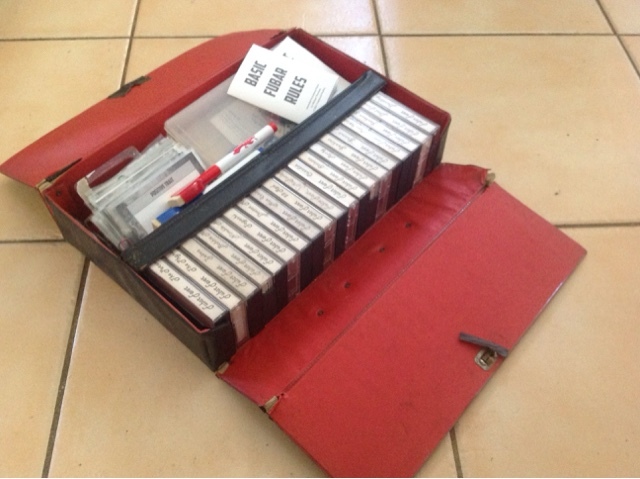 Found on the side of the road while walking through a country town, this leatherette 40 casette case was half filled with assorted classic tapes from the 70s. 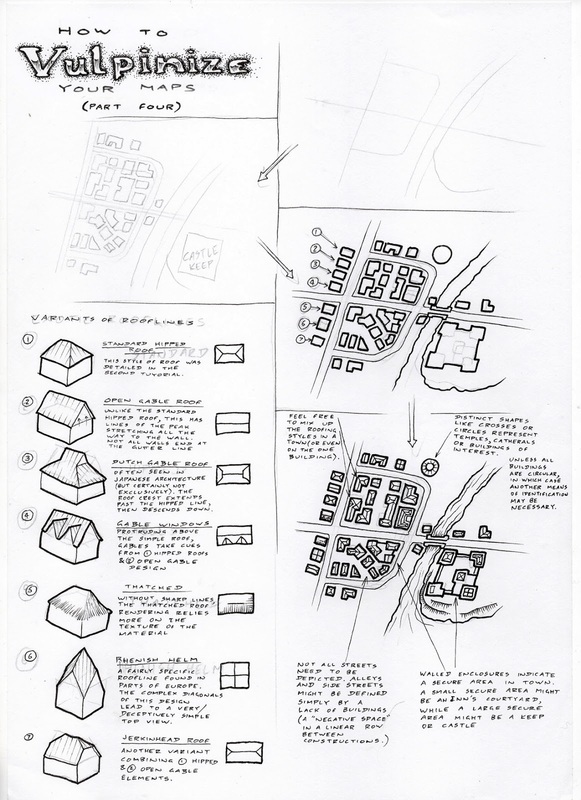 It instantly crystallised thoughts about a 1970s funk-noir-exploitation setting for FUBAR (now available on DrivethruRPG). Being only half full, it meant that the second half was perfect for the necessary dice, tokens, cards and markers necessary to play the game. So basically, FUBAR exists as a convention redy game in this single carry case. ...or maybe the case, and the previously mentioned white board.